The friction between IronFX and the company’s Chinese customers and introducing brokers (IBs) has culminated in a legal case brought against the broker. Forex Magnates has learned that about 160 complaints against IronFX were filed on January 22nd with the District Court of Limassol. According to the allegations, IronFX has been denying withdrawal requests to over 150 accounts which the IBs brought onboard with the firm. The total amount of client funds mentioned in the claim is close to $1.25 million. The case is the latest part of the spat between IronFX and their Chinese IBs. In January, it was reported that Chinese clients stormed and ransacked IronFX’s Shanghai office. In addition, the broker was the subject of an investigative report by the Chinese media in relation to inappropriate marketing of their financial trading services. Other brokers shared similar fates, as SFX and IFX were featured in a segment on China Central Television, and FXTM faced a filmed protest in a local exhibition. In the current claim against IronFX, introducing brokers have alleged in court that since the beginning of October their clients first experienced withdrawal delays. In November, the problem began deteriorating when about 150 customers had their withdrawals denied altogether without a specific explanation. Such claims of withdrawal delays appear to have widened beyond just Chinese customers, with other customers reporting to Forex Magnates and on trading forums that they are experiencing problems with their withdrawal requests being processed. In the past, IronFX attributed withdrawal problems from China to the presence of abusive traders who the broker believed was taking advantage of their bonus offerings. In part of a larger interview with IronFX CEO Markos Kashiouris which will be available later this week, Forex Magnates asked about the case and whether it was related to the bonuses. Kashiouris answered, “Indeed this claim is related to the recently identified group of abusive traders that employ an abusive trading strategy to manipulate our promotions. Forex Magnates’ reporters reached out to the Cyprus Securities and Exchange Commission (CySEC) in order to obtain the regulator’s perspective on the issues affecting IronFX. The watchdog informed our reporters that the authorities were aware of the allegations and were going to address the case according to standard procedures. At the moment CySEC does not have any authority for the restitution of any loss suffered by clients. However, the supervised entities were informed that should they decide to proceed with the restitution of any losses suffered by their clients it would be taken into consideration when the CySEC Board considers the measures to be pursued (i.e. as a mitigating factor). On the other hand, IronFX boasts that it had a sound reaction to the crisis and was named as a potential buyer for the Alpari UK business. If the broker believes customers are in fact acting maliciously against them, it may have triggered a larger withdrawal and customer trading performance review being taken by the broker. Also, Mr. Kashiouris’ remarks about special attention by competitors and, perhaps, the media cannot be easily dismissed, as they resonate with the company’s marketing strategy. A broker engaging in an expensive sponsoring deal with Barcelona FC or promising to send traders to space would naturally find itself in the public’s eye. One way or another, it would be prudent from the broker’s side to provide more details about how traders have been abusing the firm’s promotions, as keeping accounts “under investigation” for long may cause more confusion and raise more questions. As the company’s aggressive bonus promotions have hit the Chinese market, some depositors might have developed a certain “expert adviser” which allows them to quickly achieve the requirements for withdrawing their bonuses. IronFX is a market-making broker and the firm is using the bonus program as a way to attract more customers, providing more funds for margin trading. However, bonus-withdrawal conditions are strict – the client can only withdraw funds once a certain trading volume threshold is reached. While these programs are devised so they can be adequately managed automatically, some traders could have uncovered a way to meet the trading-volume requirements using expert advisers, enabling them to withdraw their bonus funds from the broker rather quickly. This is old and not surprising. Should be careful when giving bonus to Chinese 🙂 . They will try to abuse it on the first occasion. Seen this happening before. Judge something after you learn it, ok? Do you have any idea that accounts in China without applying any bonus still can’t withdraw their money? I don’t think so, because people like you don’t have too many ideas, just like the ironfx manager who offers bonus unthoughtfully and blames it on the clients instead of himself, inspite some chinese shouldn’t take vantage of it. Another IronFX-bashing article from FM. When you guys will understand that FXCM is gone for good? Great article, shame the focus should have been on the collapse of the Agency model and how Market-Makers like IronFX are the winners of the post-January 15th debacle. Looking forward to your follow-up article, will shed light on the future strategy. You are clearly a fool. The majority of clients are under CySEC and you have already seen what the CySEC response is. FCA and ASIC will also follow the same route. This procedure is well-covered under the T&Cs of any Broker and regulators will have nothing to do with it if covered by the T&Cs accepted when the client signs up for an account. Having worked with this broker late 2013 and seen how professionally they operate I find it difficult to believe any of these. The only thing that comes to my mind from following the articles and publicity around their name is that there should be another reason why certain people/competitors constantly target this broker. At the end of the day, if any valid client disputes, will be dealt in court. Nothing new to be invented! Buddy, you are clearly lost in your regulatory quagmire. I am not in favour of CySEC but at least CySEC awaits a formal Court decision for items already covered by standard T&Cs. For FCA (and indeed CFTC) we have seen how well they have protected clients in cases of proven client funds mismanagement (Alpari UK, Liquid Markets, BT Prime etc.). I suggest you calm down and let the Courts decide, if indeed the case ever reaches the Courts. I will just say one thing – be strong Ironfx, ignore the competition and continue concurring the markets. All part of being the world’s top broker after the demise of FXCM. IronFX is the best broker in the world. Thats why Ironfx stopped the 60% bonus just recently. They knew that if they give a bonus, and if someone makes money they have to pay him, and this is what CySEC told them… even though he was on a hedge with different broker. So now… slowly slowly pay the 1.25 million ironfx and move on. In CySEC eyes, if you want to investigate abusing you have also to do it both sides, so you have to check also losing accounts, and refund them their money if you suspect irregular trading. You cannot do it one side. This is the start of the end. The amount of payed positive comments its a good sign that the money they don’t give back to clients are put to a “good” use. Since second part of january 2015 they are not processing ANY withdrawell. There is nobody getting theyr money back since that date. This boiler room its on its last minutes of its life. 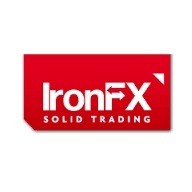 The once of you with money still on IronFX tradeing account stop hopeing to see them back, its over. A full suite of regulators below. Please address your issues with IronFX them. I am sure they will all respond the same. Get on with writing about something else, like FXCM going bust claiming negative balances from RETAIL CLIENTS. As much as it hurts everyone, leave IronFX en route to no.1. Apart from the fact that you are stupid enough to show that you work for UNREGULATED Exness, what you describe in your simplistic stupidity is called ARBITRAGE. If IronFX is offering an environment for arbitrage (i) it is not illegal, (ii) clearly other stupid Brokers do not have the risk management systems to allow this product and (iii) well done to the them for offering a product that the client makes money. I am glad to see a balanced number of comments in favour of IronFX. Anyone has an issue, let them try to copy. Yes I am stupid but the truth is that Ironfx is doing dirty things to destroy the FX markets, lol. Here is also another interest review on Ironfx recently, look like they are running away soon. After reading those things, if you still have funds with this broker, you are a hero, lol. Show us a link of a regulatory fine or regulatory comment from any of the 8 regulators of IronFX (unlike the zero regulators of Exness) and we can have a proper discussion. @ James, are Ironfx so good in lobby mate? Sooner or later you will see soon regulators will knock your Company door, take my words… soon you will see it. 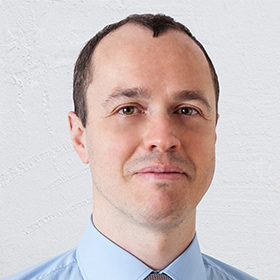 James Golub – your claim …… what IronFX does and how it came to no.1…” is hilarious! And what are you basing this famous claim on – volumes, etiquette, friendly customer service etc, etc? Or could it be that they’re Barcelona’s smallest sponsor? Saxo Bank sponsors Lotus Racing and look their position. Please enlighten us all!!! There are some companies you want to succeed because they offer really cool and nice products and services. There are some companies you don’t want to succeed because you are afraid that it will be difficult to compete against…and then there are companies you don’t want to succeed because they embody all that is wrong with the world or the industry -> ironfx is that one! Would Iron Fx like to publicly state what their salesperson commission structure is? Also, what is a salesperson’s commission (OTE) percentage wise, relative to their base salary? Quite shocked really to see all these comments. Sounds to me like a plain case of scaremongering and playground gossip! I don’t know about the structure of IronFX and I’m not interested. I’m just interested in withdrawing my commissions when I make them. In my experience so far, IronFX has delivered. Martttin, I agree about the scaremongering. Does it come as a surprise that all this negativity comes after the news that IronFX is applying for IPO? Impressed with so many eyes on this broker. For what they have managed to do in just few years, they must have done something right. It is a shame that they are suffering from the market well known of its abusive IB and trader. Whoever wants to be in China, needs to be extra careful. Why have they delayed my withdrawl requests. was only withdrawing 3% of my account and they withheld it for 5 weeks. There are some fascinating findings in this forum today! Sherlock Holmes has been given a run for his money! I would suggest you don’t give up your day jobs though. The proof of the pudding is in the eating. And I my experience with IronFX has been a satisfying appendix to my dinner. With my profits in my pocket, I don’t have a complaint to make. The previous 3 or 5 posts (lost count) come from the supporters (paid ones, obviously). Do you guys actually read before you post stuff? Do stop for a while, and ask yourself, will I look like a total fool for posting this? Facts, gentlemen, we need facts and hard evidence. So far from the previous posts we have had them. And we are demanding them from you as well, please. I will comment on Fxpro’s 40 mln loss. You see, when interviewing people in a small island that has limited career options, is not hard to verify it. Also not hard to verify that they are currently in dispute over the said amount with their PB Deutsche Bank, who by the way stopped pricing them. Interesting debate: One side is paid by or employee of FXpro, the other side is paid by or employee of IronFX. Who else is going to join the show here? I cannot agree more with what you said, but, I'm afraid that they will not come up with anything to prove it, let alone transparent. But yes, because of the actions of some, the whole industry can suffer. I think what IronFx reminds me now (wild Wild West) lets collect money and find excuse not to pay them . Wondering who is next May be this guy's who have luxury office with sea view and start to offer the 50 % bonus , Iron gave good example to the rest why you need work hard , just collect money and see you ……..
remember also another method you can use besides regulators is calling up your card company if deposited via card (even if you used skrill with a card). b. if the abuser made money with Ironfx and lost money with the other broker, and he tries to withdraw, at this point they will tell him your account is under investigation and they wont send him the funds! Another 40 people fired today in 1 go from the global leader. Comments from any of you kashiouris lovers? another court case!! the whole FX industry is going down. all the big ones are in trouble including Saxo. whose fault? trader, abuser, regulator, broker?